It is always a pleasure to go and see what the students – small and big – of Nicholas’ Art School have been working on in the course of one year. It is important for budding artists to face the audience with their work, to hear critics and/or positive encouraging comments. Some artists of our Thursday art group have been visiting the school during working hours some months ago – I reported – and they found the scene very inspiring. 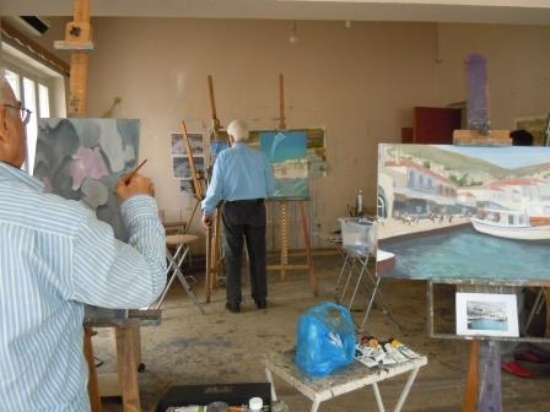 The students are offered a row of different activities – lectures on art, outdoor painting and once a year a trip to interesting places to visit and learn, art, culture and bring home impressions. The show will be opened on September 13 at 19.30 at the Melina Mercouri Cultural Centre and will last until Sep 18. Visiting hours daily 10.00 – 13.00 and 16.00 – 20.00 hrs, except Saturday 16.00 – 20.00 hrs. www.artlessonscyprus.com and www.childrensartcyprus.com; tel 99511509.